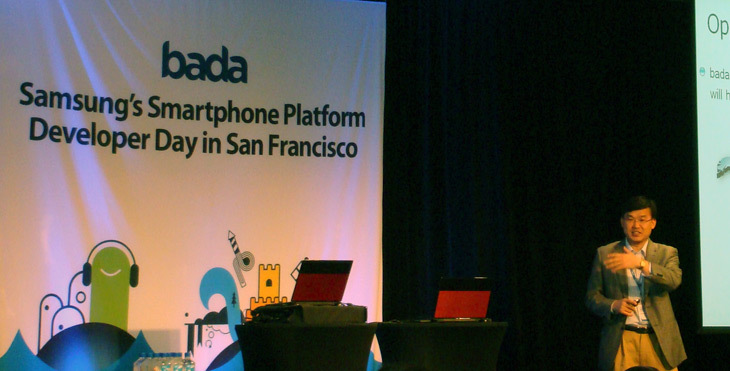 The folks over at Samsung were kind enough to invite me to their Bada developer day conference in San Francisco this past Tuesday. For those who aren’t familiar with Bada, it’s Samsung’s very own mobile operating system. I’m not going to lie, I walked into the event highly skeptical about Samsung’s intentions. The idea simply didn’t make sense. With Apple’s iOS 4, Google’s Android v2.2, and plenty of other well established mobile operating systems, I didn’t see room for another. As I decided to hear them out, Samsung’s team relayed their justifications and vision for the Bada platform. Aside from what I had read online, I hadn’t spent much time looking into the Bada platform before my meeting. Tech journalists and pundits made the entire platform sound like a lost cause. But in reality, that’s not the case. For starters, the new mobile platform, which has been in the making for nearly six years, will hit over 100 cellular carriers across over 80 countries. Now that’s distribution power. Google’s Android OS has only reached 48 countries and 59 carriers so far. In addition, many people don’t realize that Samsung’s worldwide handset sales represent a little over 20% of the market alone. That’s one step behind the number one player Nokia, but ahead of other competitors like LG and RIM. To get further details, I sat down with Samsung’s VP of Media Solutions, Kanghyun Kwon, and Senior Engineer, Hyun Sik Yoon, both of whom work out of their main offices in Korea, to ask some questions. Martin Tannerfors, Director of Mobile Innovation, hosted the private interview. It turns out that Samsung categorizes gadgets such as the iPhone and EVO 4G as “premium devices.” While smart phones have caught the media spotlight, they only represent a fraction of overall sales for the company. Mid-range devices still account for the rest. And that’s exactly where Bada comes in. It isn’t for high-end phones, but rather for “feature phones.” Samsung plans to fully pursue Android for their premium lineup, but the company also plans to place equal efforts into Bada. While Samsung’s representatives made it clear that their intentions weren’t to compete with other leading mobile operating systems, they do hope that Bada becomes an acceptable option for lower-end devices. I’ve always hated finding proprietary software on mobile phones and it looks like they do too. Operating systems on mid-range devices are rarely polished and have inconsistent interfaces. Quality applications are usually hard to find since developers don’t want to place efforts into a platform that is limited to just one device. Finally, feature phones rarely get bug fixes or major platform updates, meaning they simply aren’t future proof. And stepping back onto the topic of applications, the Bada platform includes a Samsung App store. It’s modeled heavily after Apple’s App Store, but appears to enforce even stricter restrictions. Samsung clearly disclosed that they only intend to accept “quality applications,” and anything less won’t reach Bada devices. While Google doesn’t regulate the Android Marketplace in support of open development, Bada won’t even let users enable an option to install “unapproved applications.” Tannerfors insists that Bada users aren’t always technology adept. He also offered an example of certain Android apps which crash and freeze devices. To avoid that problem and provide the best user experience, Samsung will only distribute apps they deem “good and safe.” Both a selection of free and paid apps will be available. While I’m not a fan of restricted technologies, this decision makes sense for entry-level and mid-range phones for the mass market. It enables app developers to create a single app, which could potentially reach every Samsung Bada device. And the quality assurance means it’s likely that these apps will be bug-free. Also, Samsung does offer an unrestricted technology: HTML5 with Adobe Flash Lite 3 support. 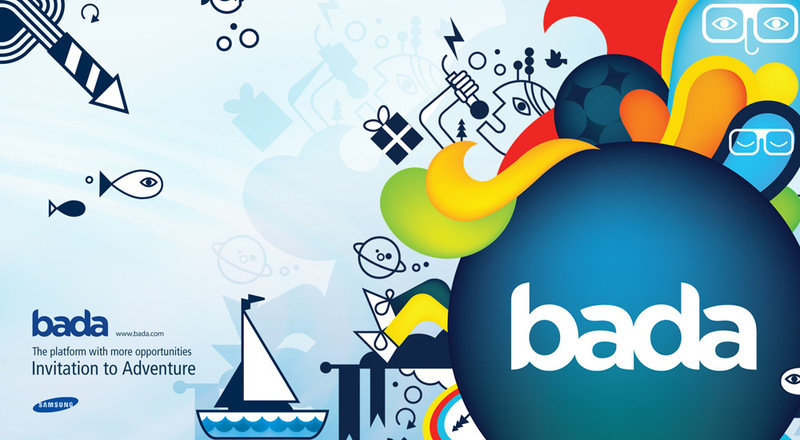 Therefore, Bada actually supports two platforms: the Samsung App Store and HTML5. While most of these details sound great, it’s important to actually try the Bada OS. After demoing the Samsung Wave, which we will be reviewing soon, I found it surprisingly refreshing. As someone who’s owned feature phones such as the LG VX9900 and LG VX1100, I expected a horrendous user interface and unresponsive menus. Luckily, I was greeted with just the opposite. With Samsung’s TouchWiz overlay, the Bada OS looked as gorgeous as Android or iOS. It even features widgets for clocks, calendars, birthdays, emails, contacts, bookmarks, social networks, and more. While most phones lack the fluidity that the iPhone offers, Bada was honestly on par. Dragging down the notification bar at the top, switching through home screens, or scrolling through web pages was incredibly snappy and smooth. It even impressed one of my friends who just purchased an Apple iPhone 4. In some cases it was smoother than both my HTC EVO 4G and Motorola Droid X. But here’s the catch: Samsung has no plans to bring it to the United States. The market is simply too different here. For instance, billing for mobile apps won’t go through Samsung, but rather through the cellular carrier. Chances of that happening with AT&T, Sprint, or Verizon Wireless are slim. Bada is really for Asian and European regions at this time. It’s initially going to appear on Samsung touchscreen phones in Korea. Although it’s intended for Samsung hardware at this stage, Mr. Kwon stated that Samsung may license Bada to other hardware manufacturers in the future. He also praised the idea of the established TouchWiz interface reaching across Android, Windows Mobile, and now Bada. And on a final note, he also mentioned the possibility of a Bada-powered tablet. Despite my skepticism, I now see that Bada has enormous potential, mainly due to Samsung’s enormous distribution power. 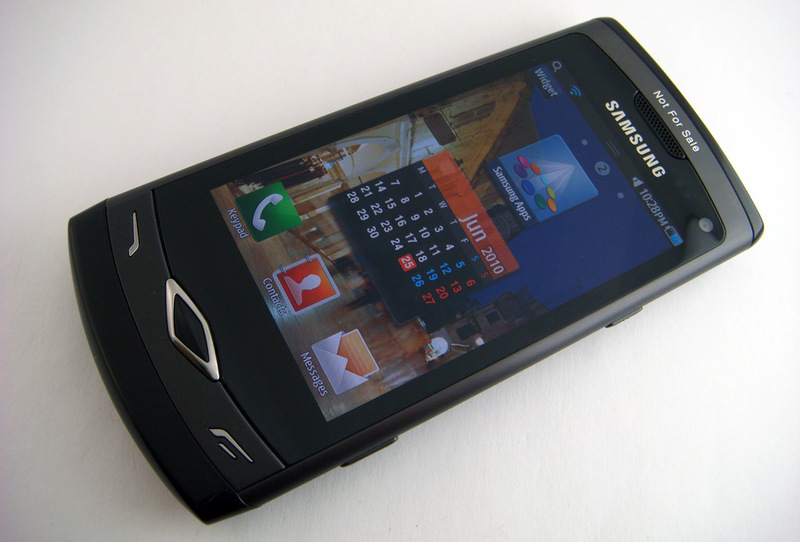 The “feature phone” market is in dire need of a vast refresh and Samsung’s Bada could very well be the solution. With a flexible platform, an application marketplace, open web standards, and an excellent user interface, customers looking for a great smart phone-like experience will finally be able to have one. Thanks a lot for your article.It is very great and not biased like other articles which absh Bada for no reason! I just bought Samsung Wave and it is very very awesome. Sorry,I am from Singapore,not U.S.A.
im looking at getting one of these would it be worth it? i have found no problem with ram. Unlike android 2.1 all of the Wave’s ram is available to the OS. I have been using Wave for a week and am more than happy. it crashed 1 time and I has to restart but otherwise has been rock solid. With more apps (picsel soon to release office suite) it will be worthy rival of android and apple. I just got a wave and love the phone, bada seems good – but its crying out for more apps!!!! – skype would be nice. Is it possible to uninstall bada and install android 2.1 or 2.2? The hardware must be up to it? It cost singapore dollar 648($450)without contract in singapore. So I think it is a little bit cheaper in singapore.Still,$500 is not much for a phone that offers much of world first like world first AMOLED screen phone,World first phone using Bluetooth 3.0,Divx support and Bada platform. 500$.. ? Thats an amazing price i’d say. Wait, was it with Warranty or without warranty.. ? By the way, I heard the daba OS is really uncompatible, Is that true. ? i just hope WAVE really addresses all the discomfort of the previous phones and be the first really comforting phone to use.. I Love This Phone! Just bought one 2 days ago……….Amazing Phone for a friendly price! Great Article! I have got the Wave just a few days back. I’m just as satisfied with it as wehn I had got my iPhone (gen 1). I just hope they get more apps for it quickly. The number of apps hasn’t even gone up by a couple since I bought the phone. Else, it’s a good buy. It needs more apps and widgets quickly!!! Samsung Wave is available in India for around $400 USD. The hardware is awesome, but the Bada OS is a piece of crap. I’ll only get this phone if XDA developers can port Android 2.2 on it. what would lable Bada as crap? unless you are a fully-capable developer who tried to get into the depth of Bada, then your comment is presumptuous. if you are an indeed fully-capable developer.. then give us your cases! I got this phone about a week ago and it is really good but will change it for nokia because the stupid samsung doesnt support skype which I really need when traveling. orry samsung, you should care what your customers ask for. well jan i can say samsung is better than nokia, nokia always a problem with thier battery pack unlike samsung u will never xperience canching battery every year, i was using my phone samsung for almost 6yrs now until now still work gud. bought a wave s8500 a month back and am surprised with its performance, it beats most high end phones in nearly all aspects, screen is heavenly, battery backup is nice stands 8-10 hours of hd video playback and 2 days of music ive tested these stats, it plays practically any video u throw at it upto 720p. and dnt tell me about rough use my phones fallen twice and once submerged in a river still no problem(the cover they provide does protect it a lot). only drawback being lack of quality apps, lets see if samsung can wrk something out. all in all if pitted against high end set like nokia n8 having 7k INR price difference it beats n8 in all aspects except camera.so if u plan on buying go for it. The Samsung Wave GT-S8500 phone itself is great, brilliant picture with the super amoled screen, good responsive touch, nice feel in the hand with it’s metal casing, very good camera, etc etc. There are no decent apps for it. Today I tried to find a “Unit Converter” and basically all I found was CRAP. Why Samsung coundn’t put something as usefull as a Unit Converter on it I don’t know they managed to fill the phone full of other useless crud. (Financial Times, Yell.com, Buddies now(whatever that is)). Ten out of ten for creating a new OS, Minus forty million for getting it wrong and installing it in the phones.